Carpenters & Joiners in Luton, LU2 8BP. Covering Luton . Bedfordshire . Hertfordshire . Buckinghamshire, willing to travel within 100 miles. 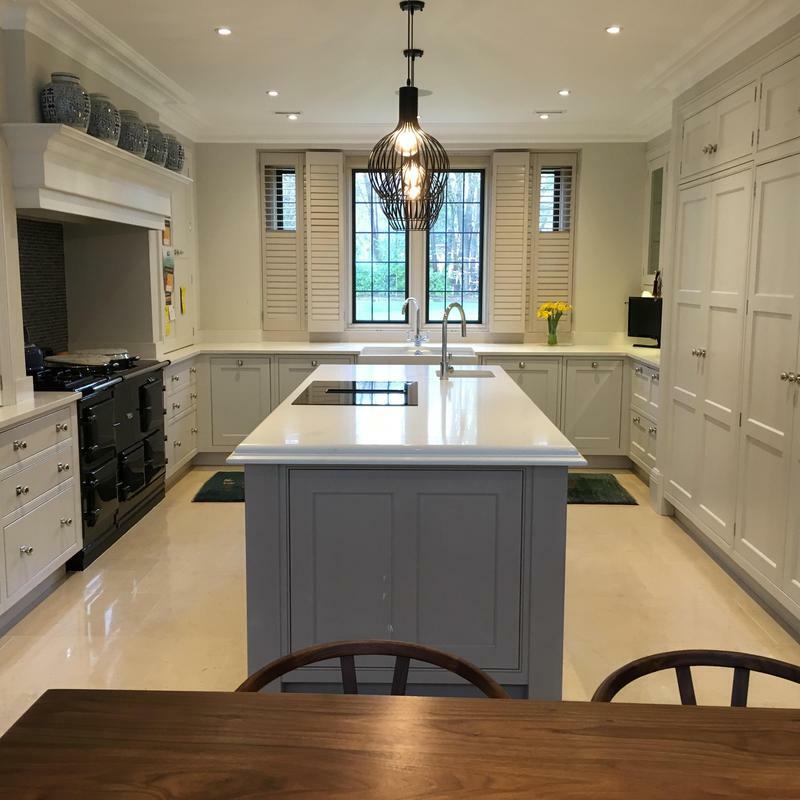 Barry Whittall Joinery has been established since 1989 and specialises in designing and manufacturing furniture for the home. I am based in Luton and cover Bedfordshire, Hertfordshire, Buckinghamshire and surrounding areas within approximately 100 miles. With a reputation built on passion and quality I pride myself on listening exactly to my customer's requirements and needs. 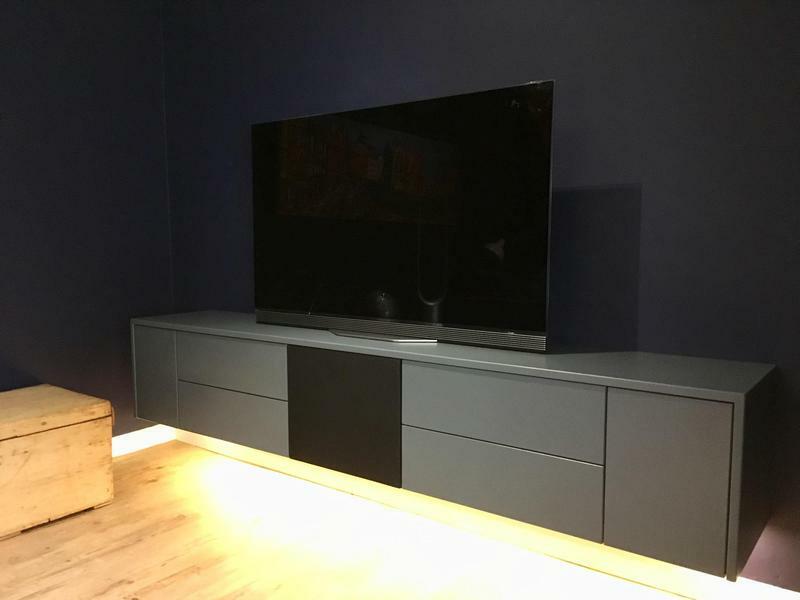 I design and manufacture kitchens, home offices, bedrooms, bookcases, display units and multi-media furniture, including automation and cinema rooms. 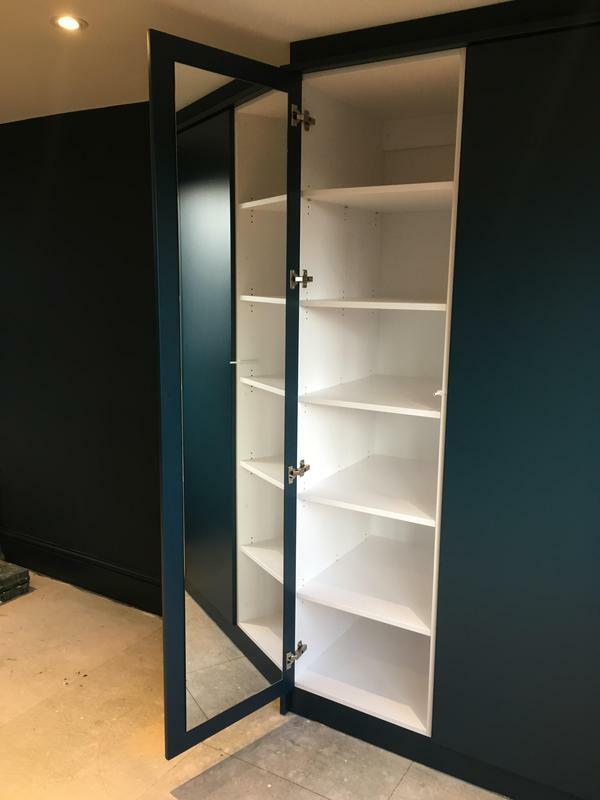 I work alongside a number of suppliers in the industry to deliver bespoke designs and finishes to suit individual requirements. 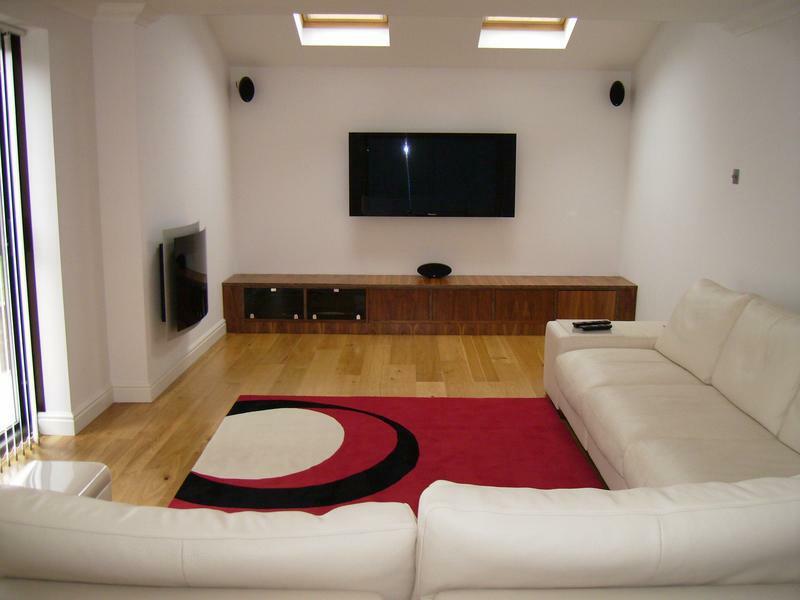 I also deal with standard middle range good quality furniture. My ethos is quality, care, craftsmanship and creativity. I always strive for perfection, aiming to create furniture which not just reaches, but surpasses the customer's expectation. 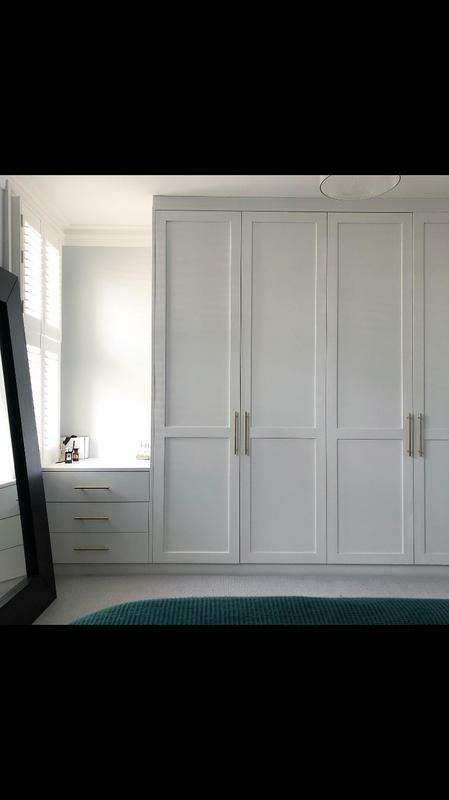 Taking great care in sourcing the best materials and designing each piece of furniture to individual requirements, right down to the most finest of detail. 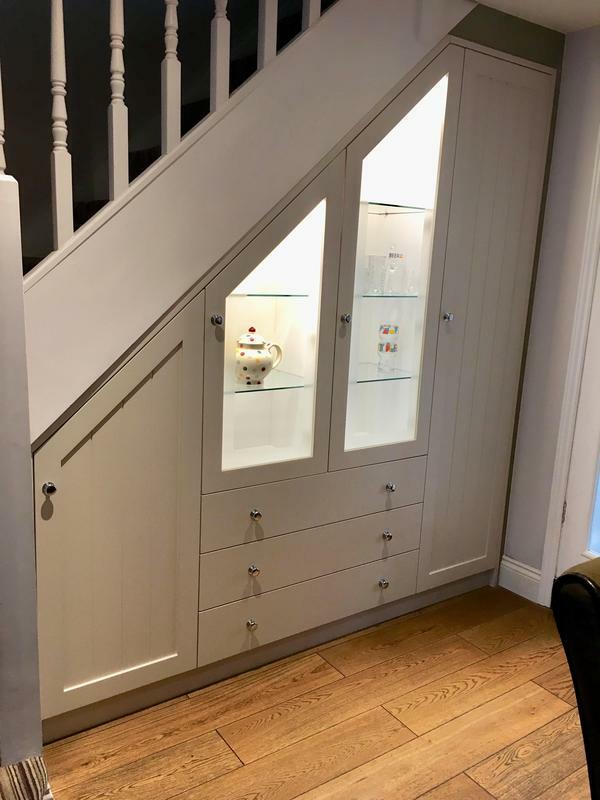 Not only can I make a piece of furniture to a completely new design I can also match to any existing style, design or colour of the furniture already in the room. If there is something that you require that is not in the above list, please call me as I am always happy and available to give you professional, friendly and helpful advice. I give free, non obligatory quotes and estimates. My service is friendly, clean and tidy, extremely reliable and punctual. I deliver on time and believe in going the extra distance to ensure everything is exactly as required by my customers. I look forward to hearing from you. Please mention Trustatrader when calling. Thank you. 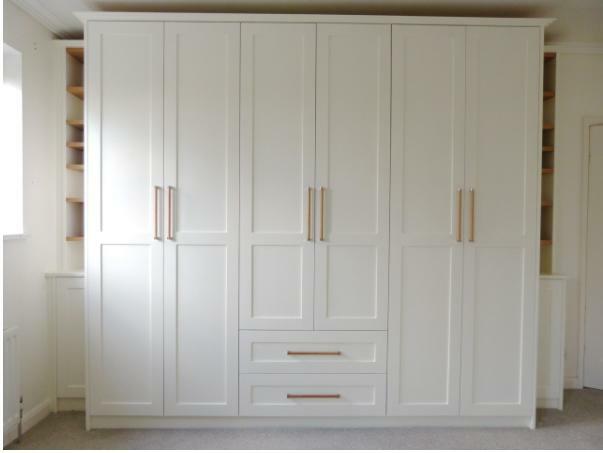 Image 1 - Bespoke Robes, built into a North London home. 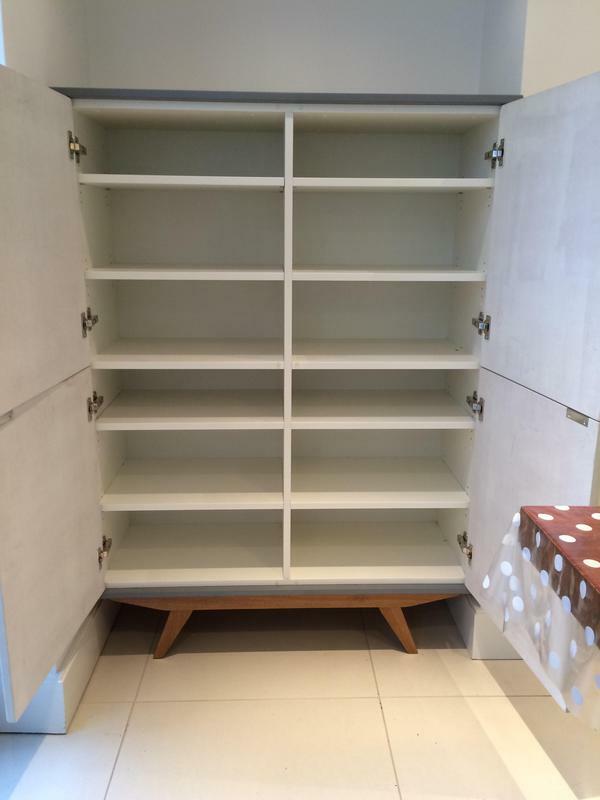 Image 2 - Bespoke storage cabinet to mirror kitchen design , in North London . 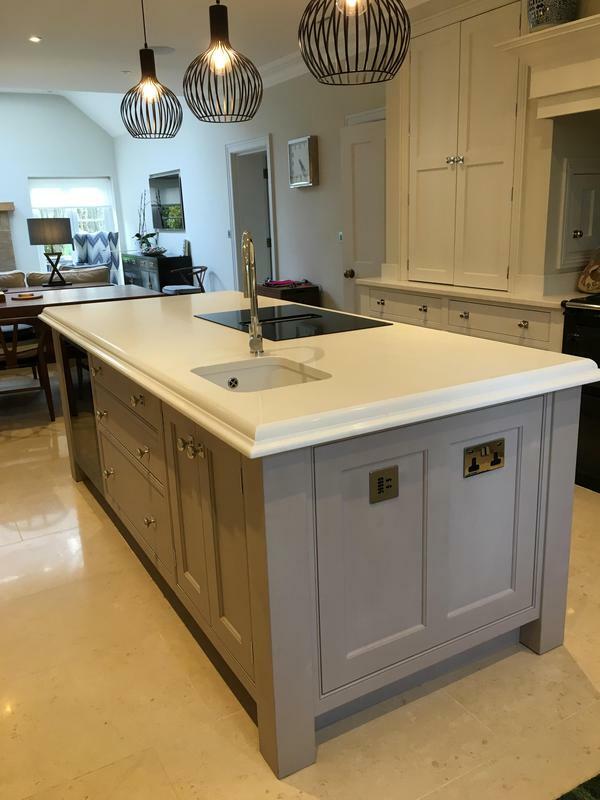 Image 3 - Bespoke island to match existing kitchen. 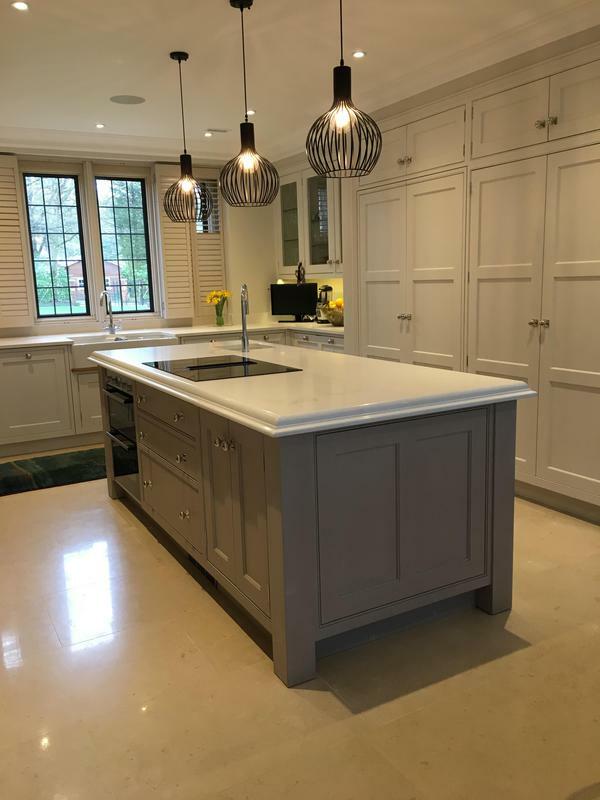 Fitted with 60mm profiled quartz top. 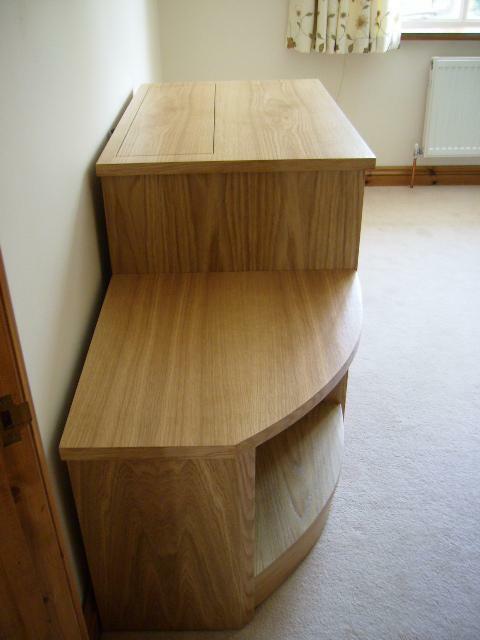 Image 7 - Bespoke built under stair storage and display. Sprayed polyester finish . 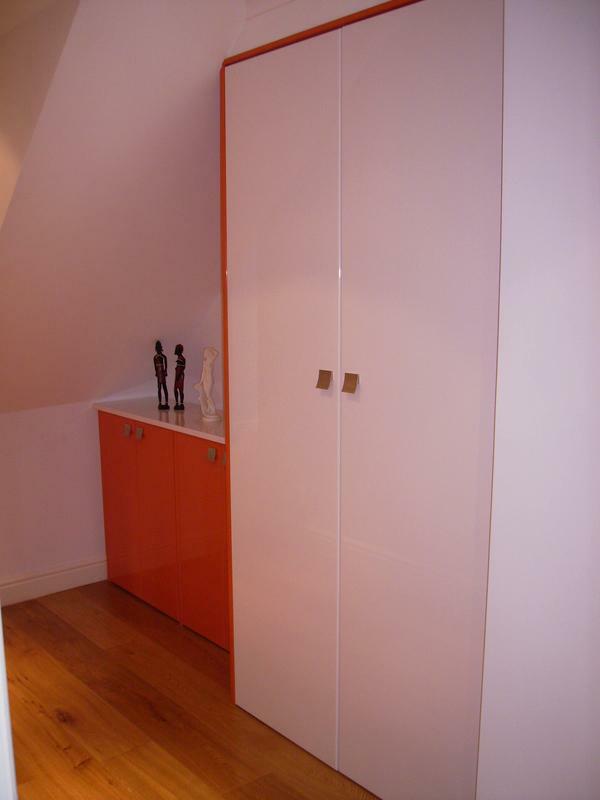 Image 8 - Wardrobes with integrated central dressing table area. 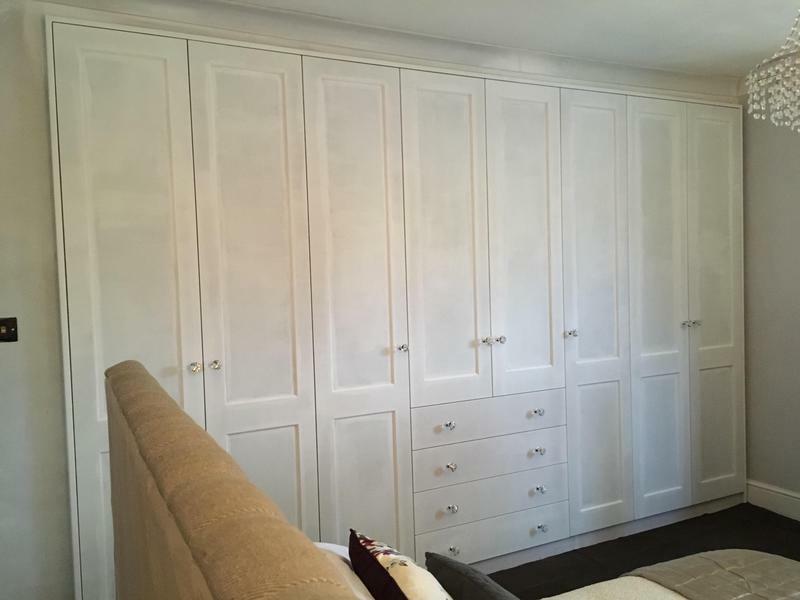 Image 9 - Polyester spray finished robes , to blend with wall colour. 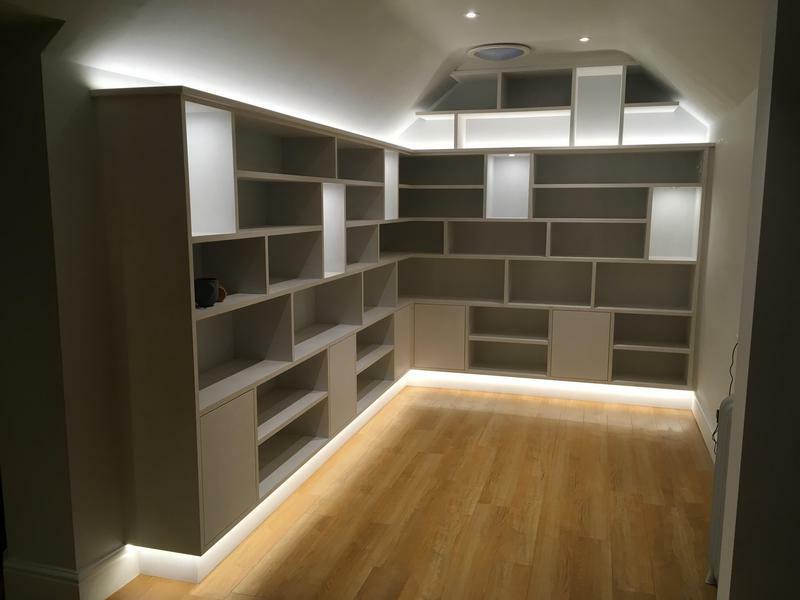 Image 11 - Bespoke library with random display areas , including led dimmable lighting . Producing a floating look. 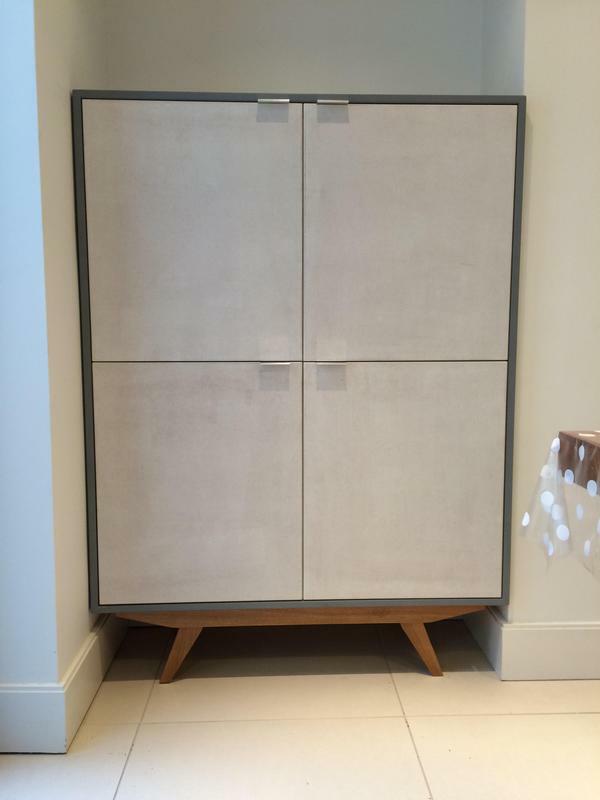 Image 17 - Bespoke storage cabinet. 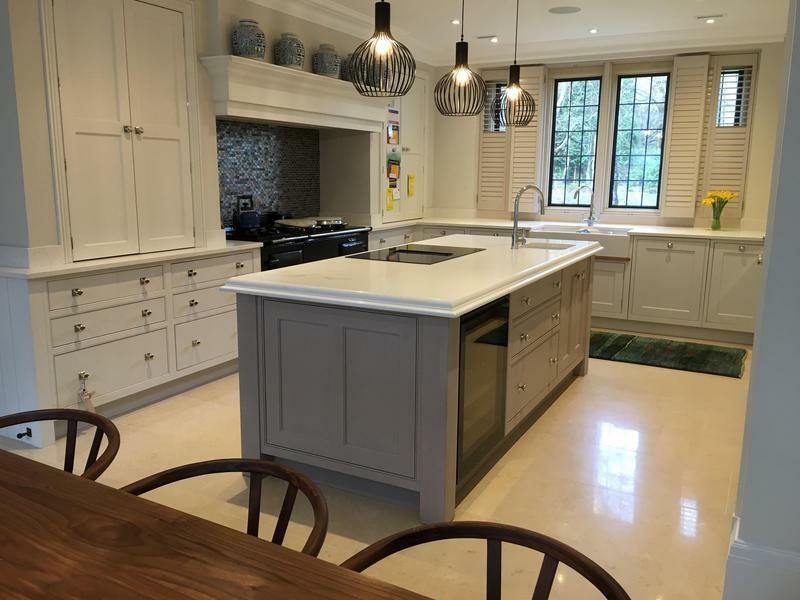 Image 20 - Bespoke kitchen . Butlers Wharf London. 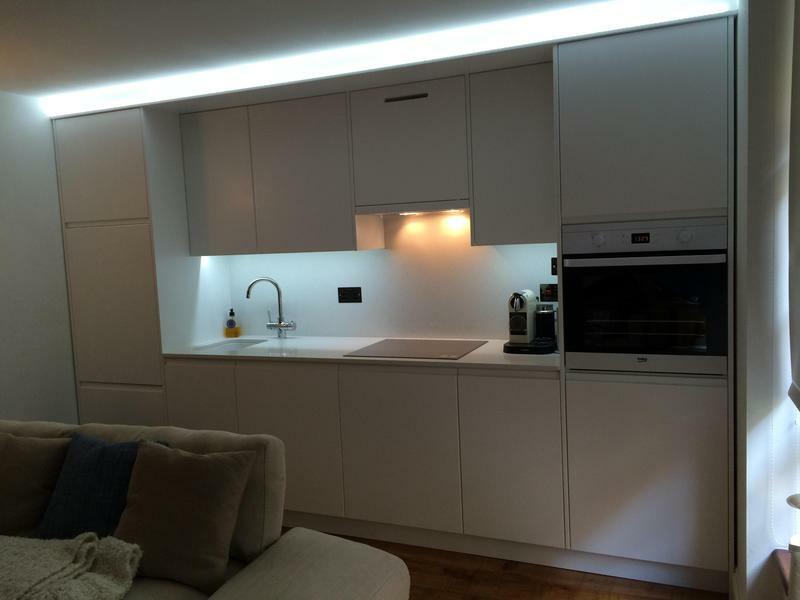 Including quartz worktop and back panel. 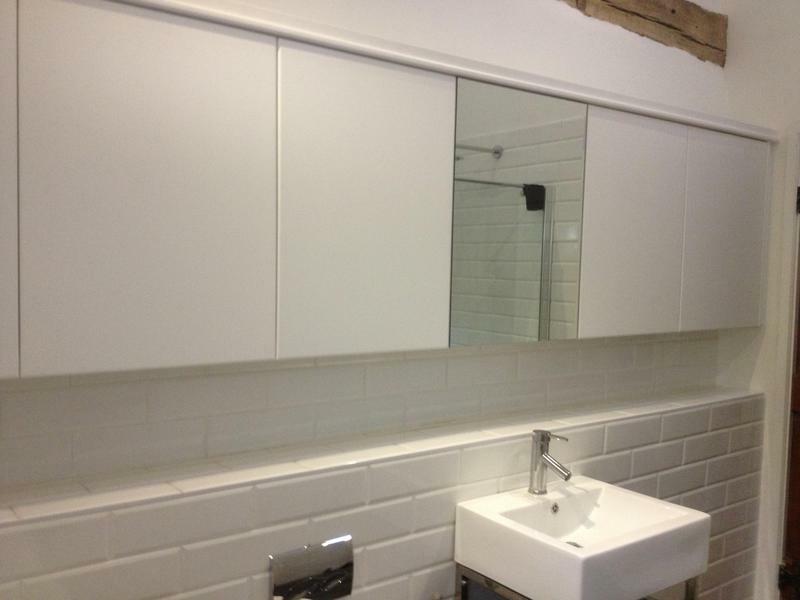 Image 22 - Long bespoke vanity cabinet , with polyester spray finished doors . Image 23 - Bespoke Robes , hand painted . 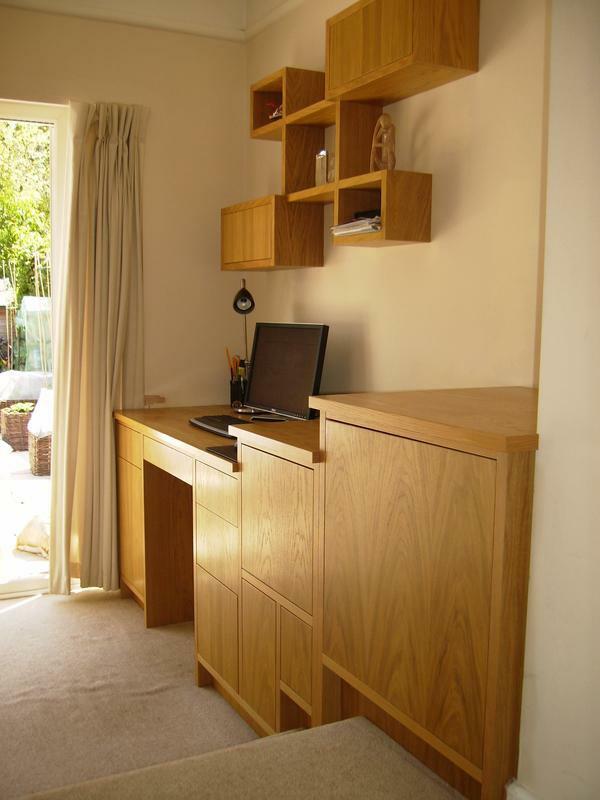 With integrated oak shelving. 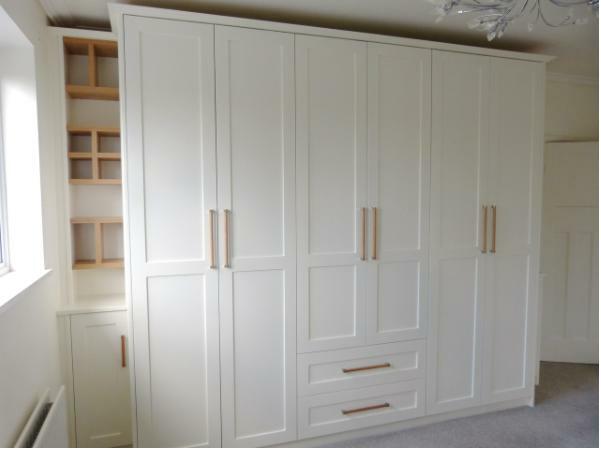 Image 26 - Bespoke robes . 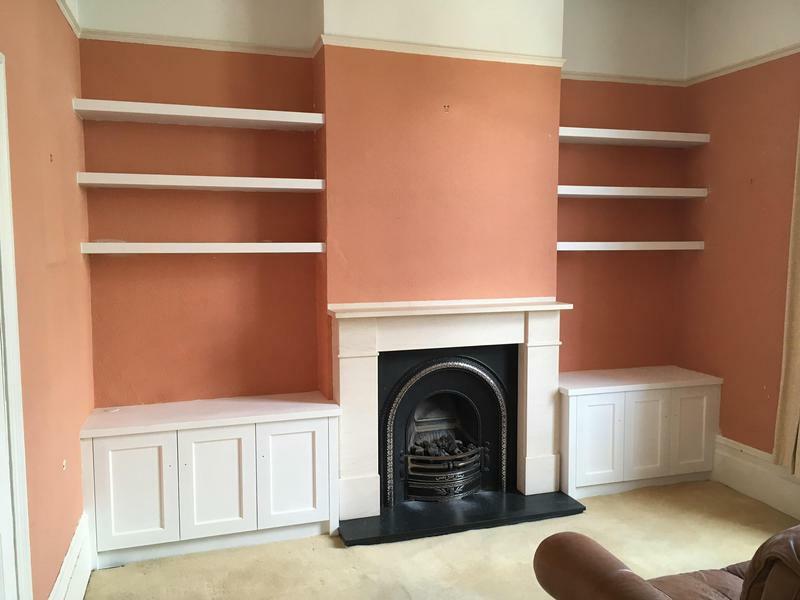 Including floating shelves . 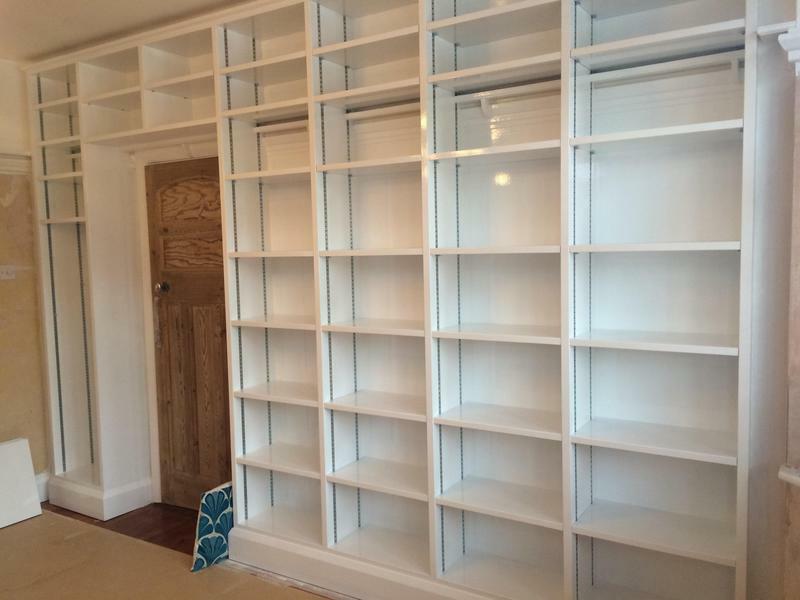 Image 27 - Bespoke alcove cabinets with floating shelves. 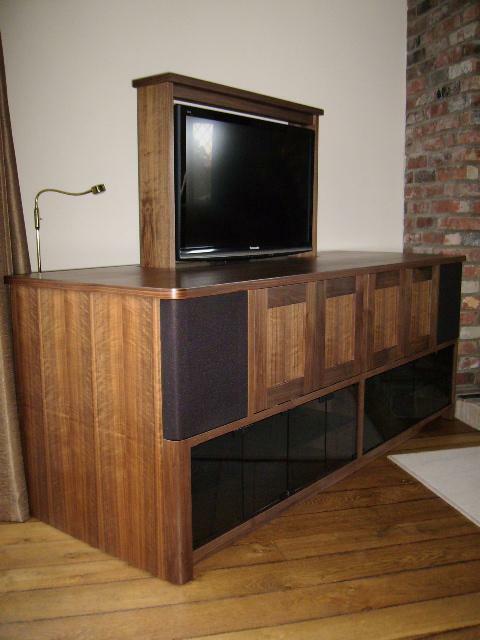 Image 28 - Bespoke floating media cabinet. Spray finished to customers specification. 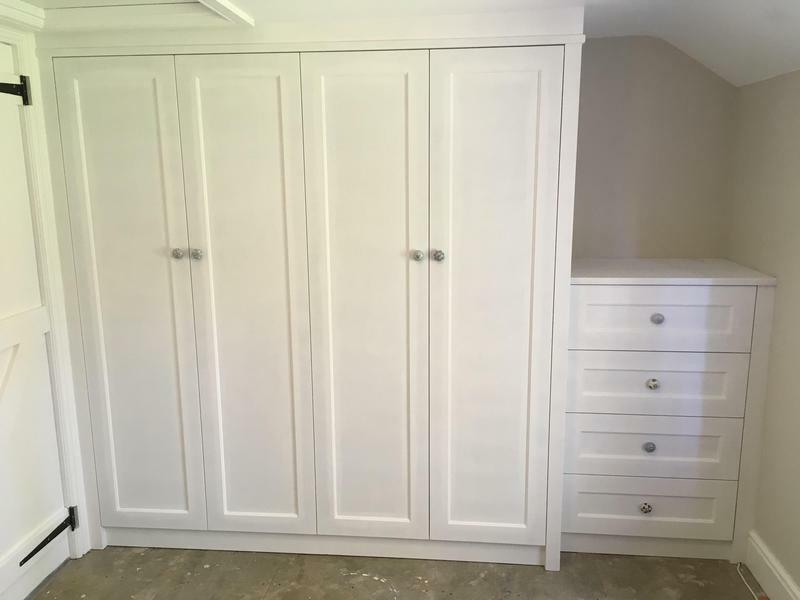 Including soft close drawers . 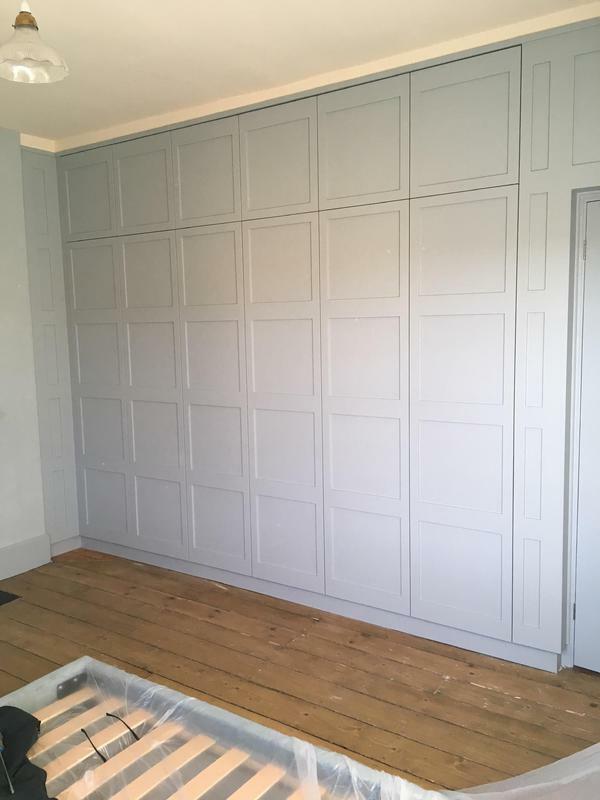 Image 30 - Bespoke wardrobes built into an old fireplace. 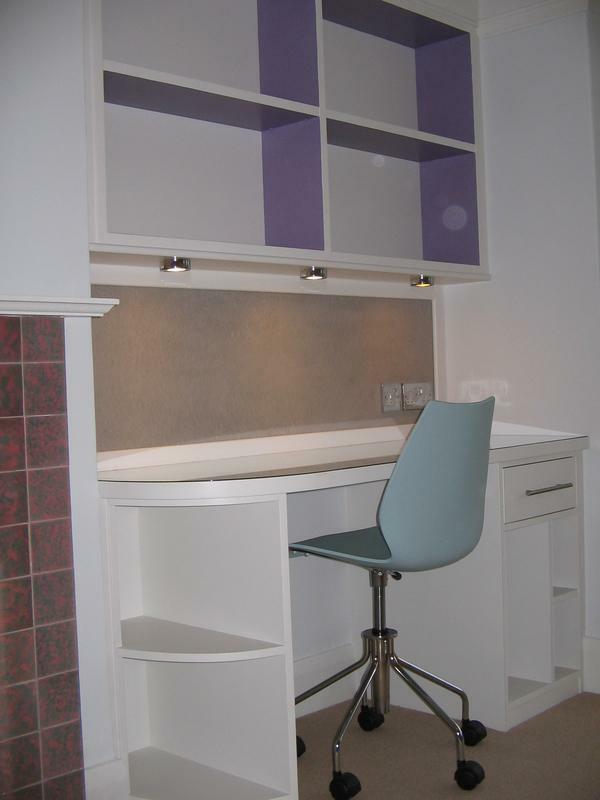 Image 31 - Bespoke boot room seat and storage . 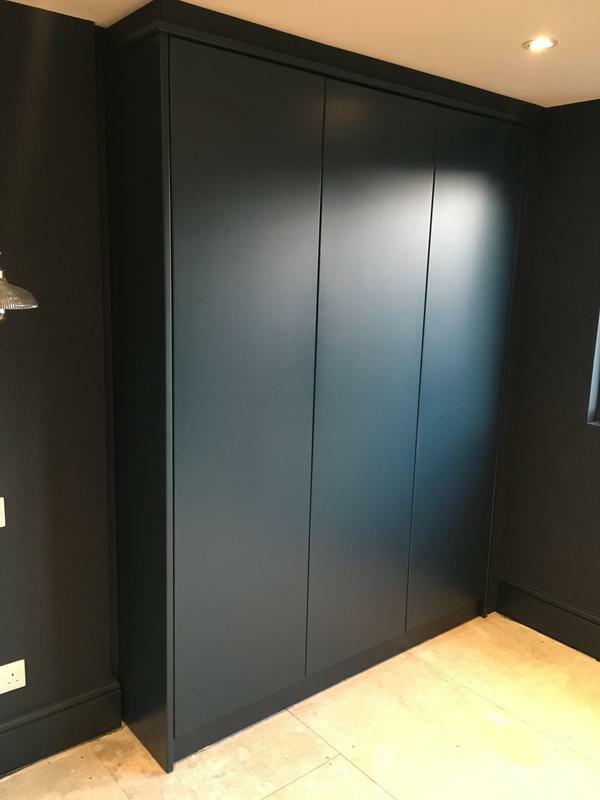 Image 32 - Bespoke Wardrobes’s with push to open mechanisms , to give the appearance of a panelled wall. 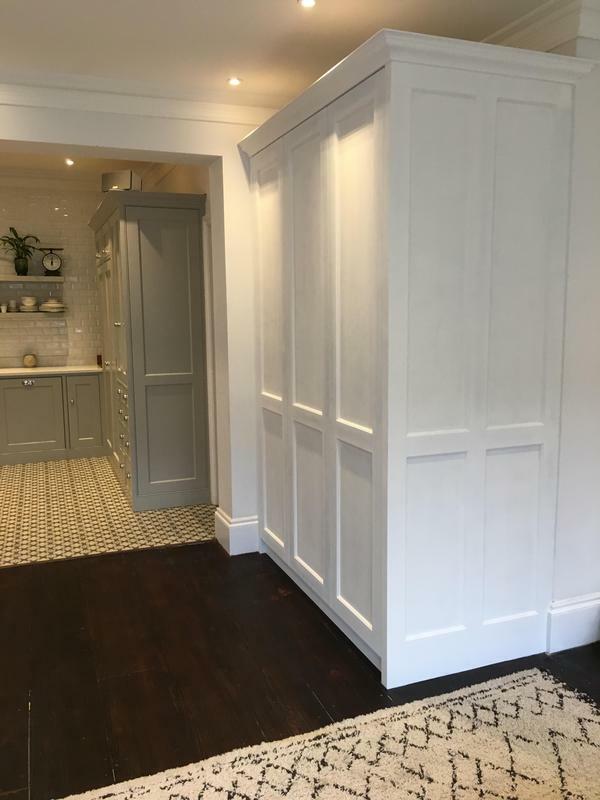 Image 33 - Bespoke robes . 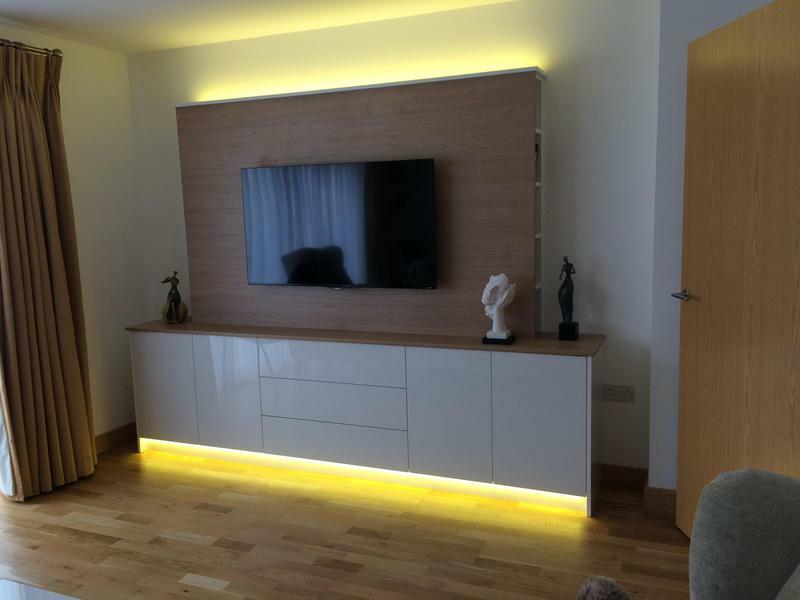 Image 35 - Bespoke media cabinet with automated tv lift . 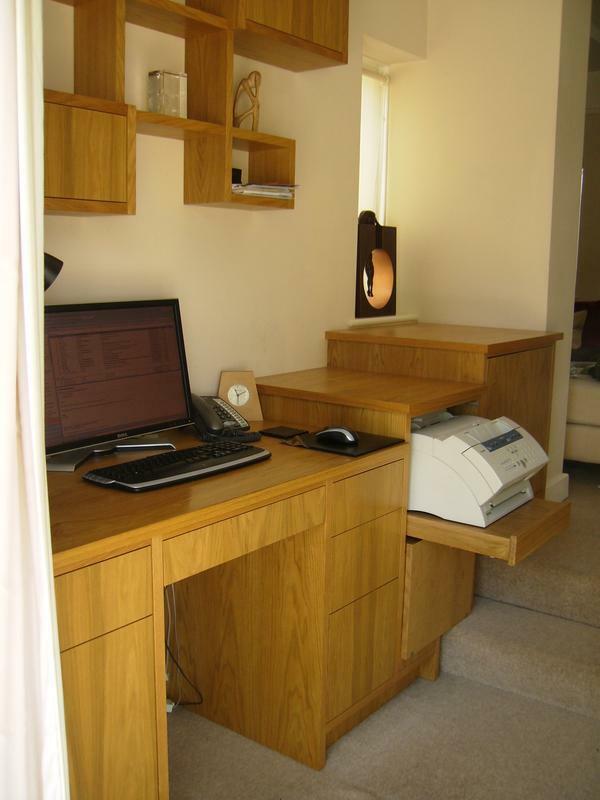 Image 36 - Sapele home office desk. 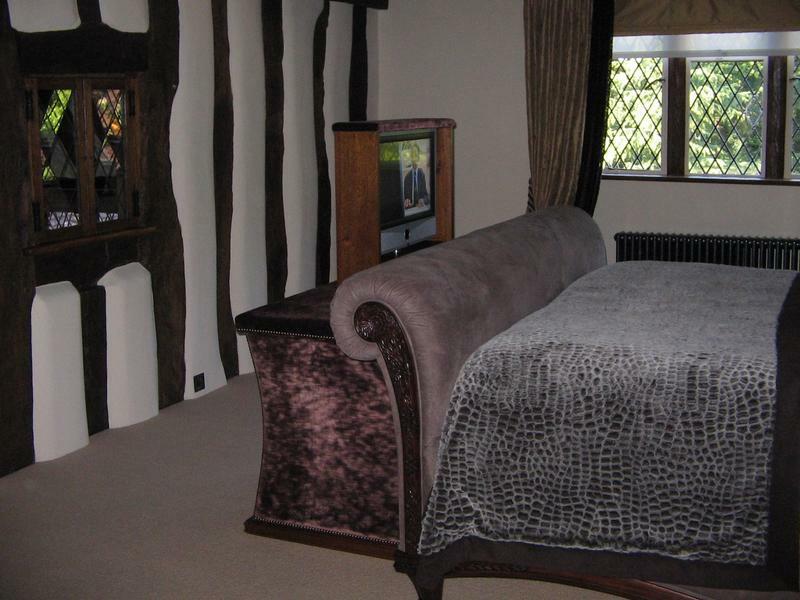 Image 37 - Bespoke Maple bed with automated tv lift . 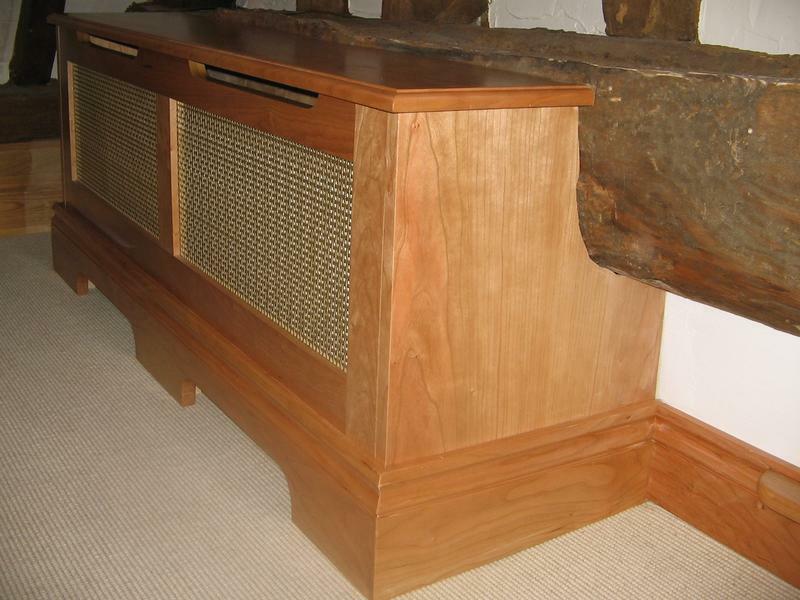 Image 38 - Bespoke radiator scribed around oak beam. 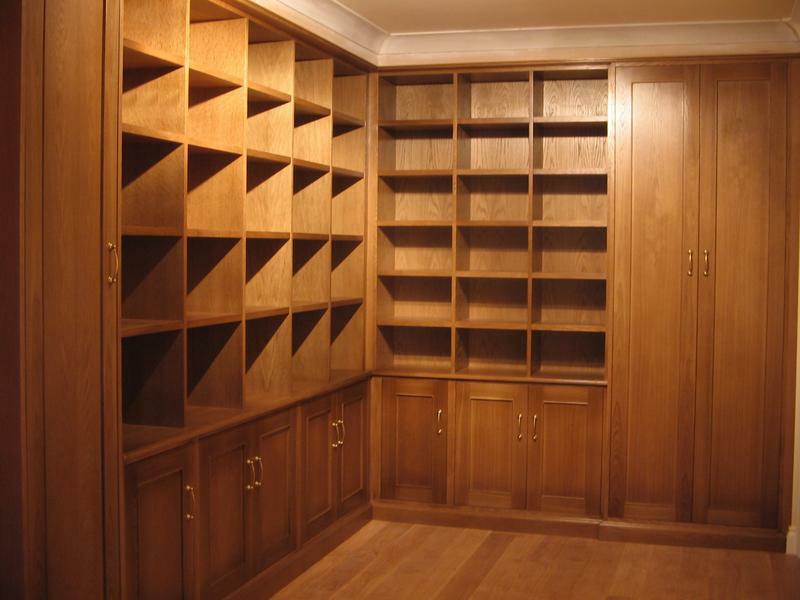 Image 40 - Bespoke library. Image 41 - Child’s desk . 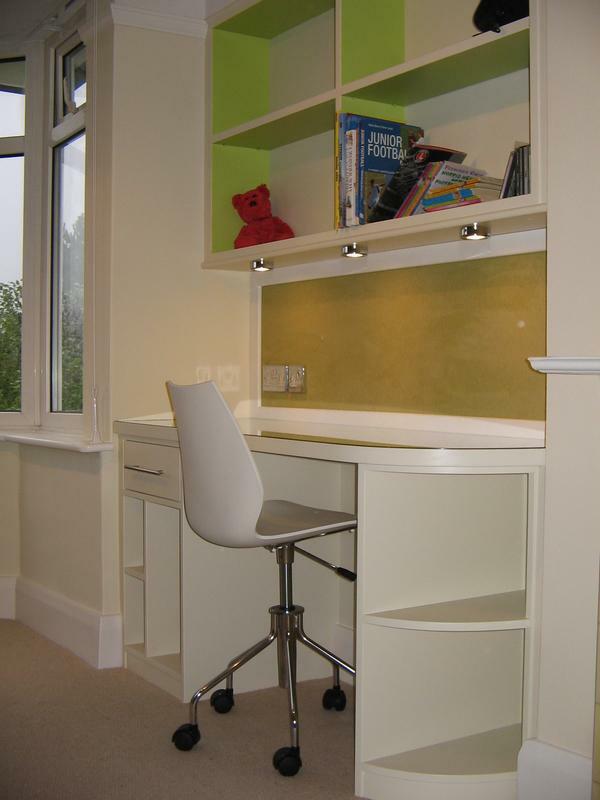 Image 42 - Child desk. 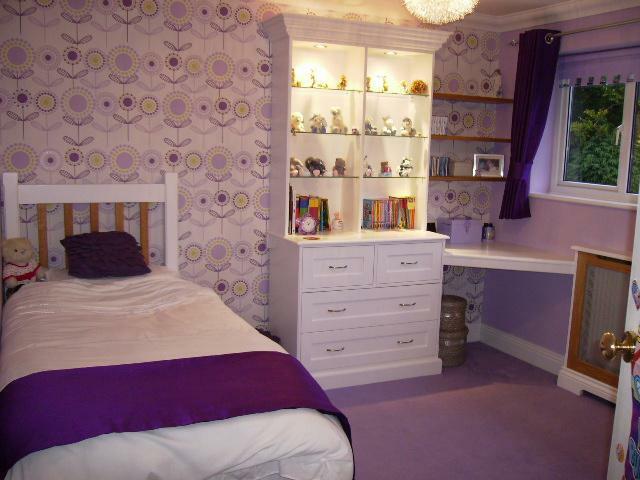 Image 43 - Child’s bedroom with bespoke desk and radiator cover. 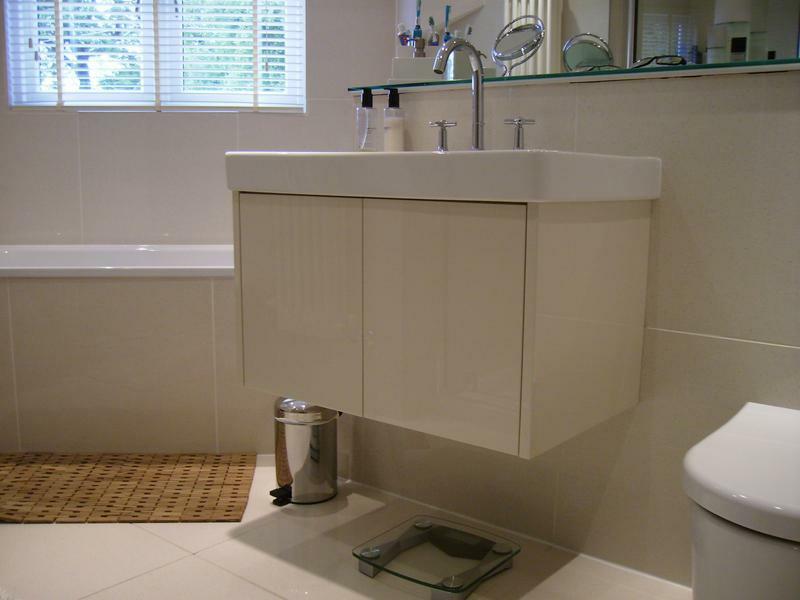 Image 44 - Bespoke Floating vanity to sit below an existing sink. Polyester spray finished to customers choice . 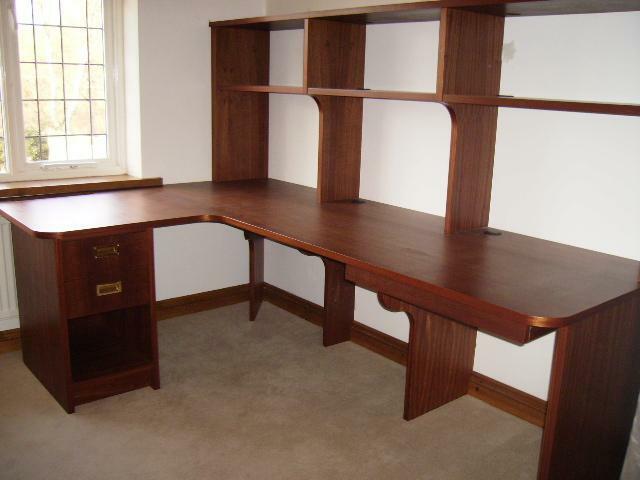 Image 47 - Awkward area desk . With stepped cabinets with staggered wall shelving . 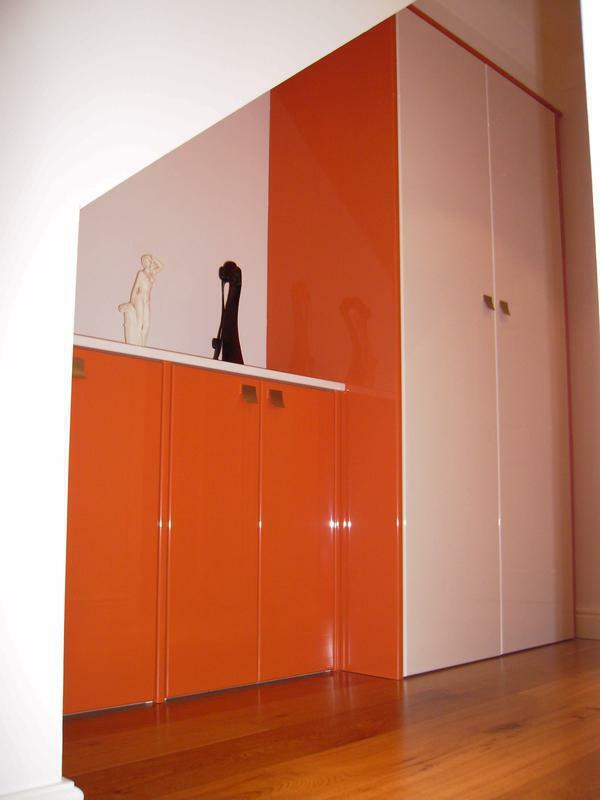 Image 49 - Bespoke polyester sprayed storage. 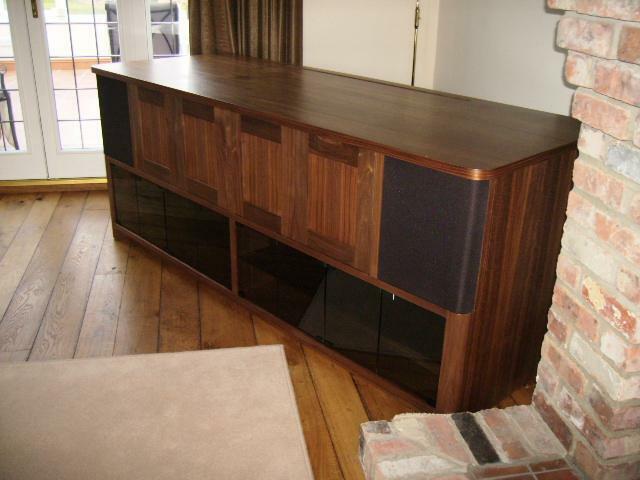 Image 50 - Bespoke media cabinet . 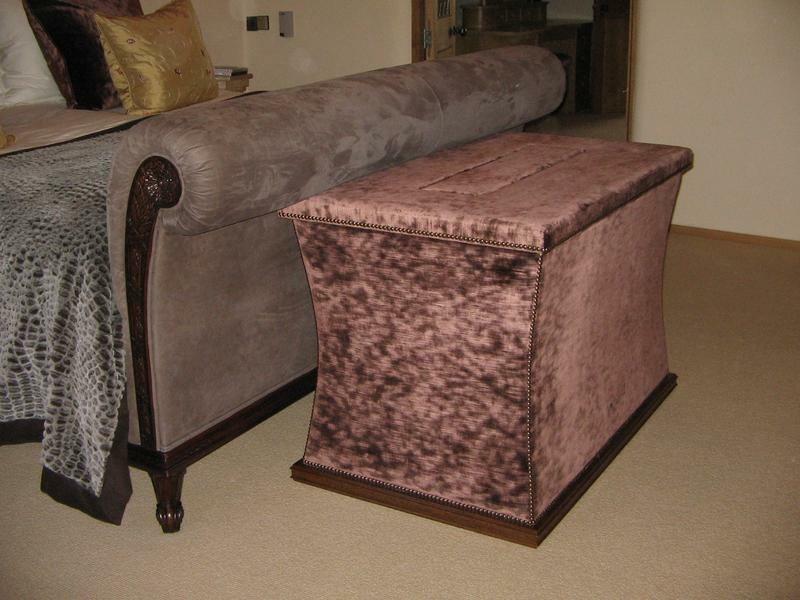 Image 52 - Bespoke Ottoman with integrated tv lift . 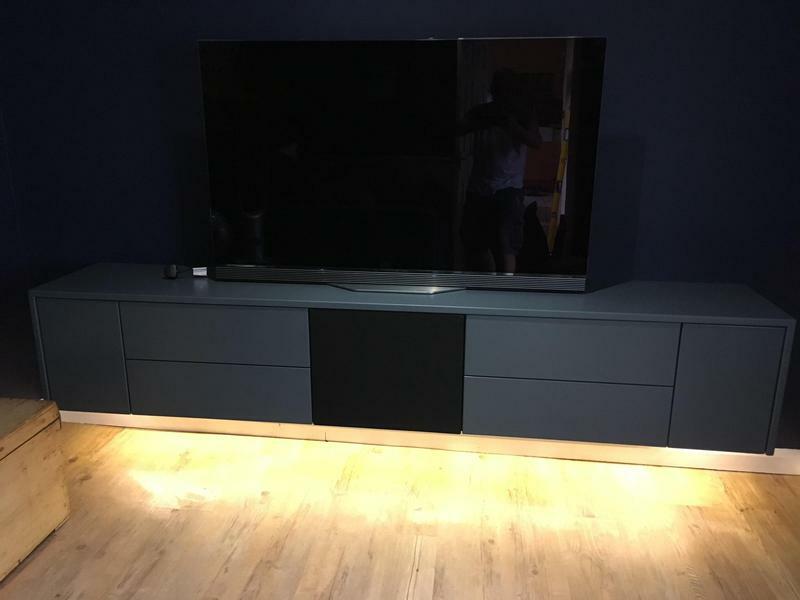 Image 53 - Tv cabinet with integrated remote lift . 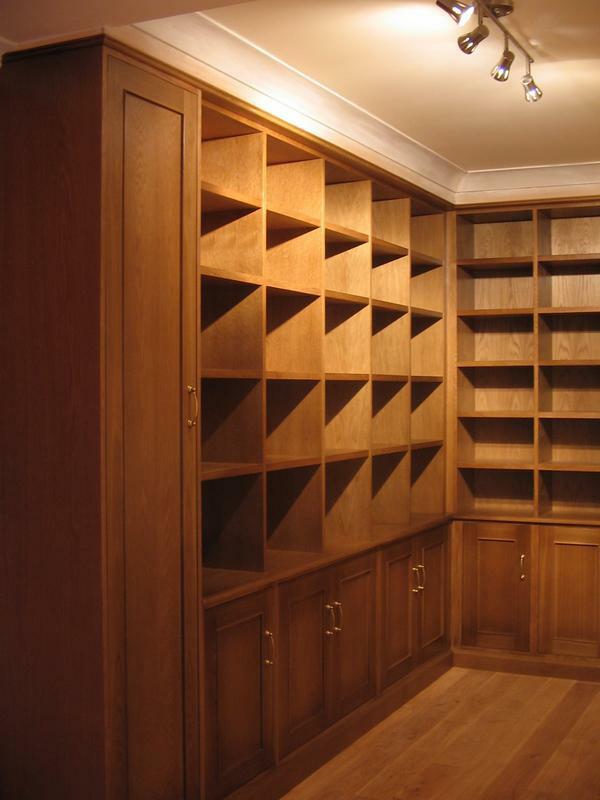 Image 54 - Bespoke alcove cabinets . 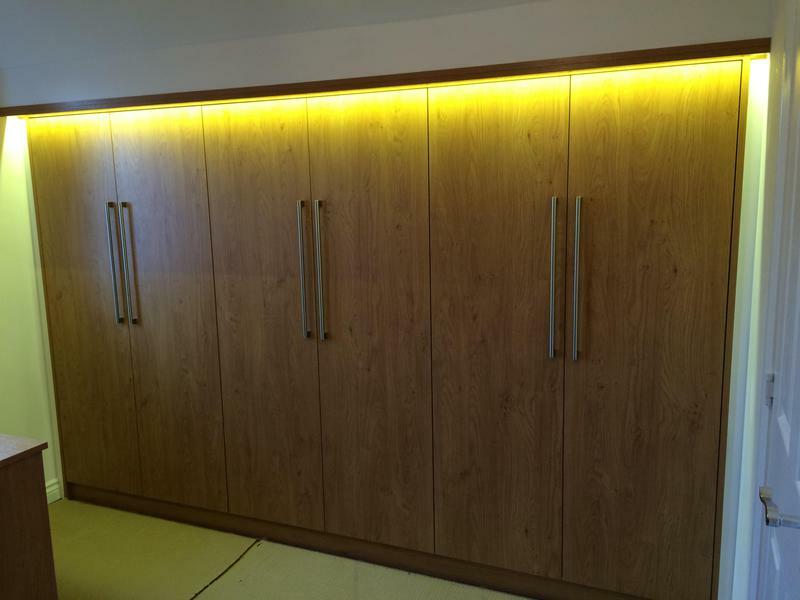 "Barry has now completed 2 projects in my home and my wife is now lining me up for his third one! His work ethic, attention to detail, neatness and craftsmanship are second to none. 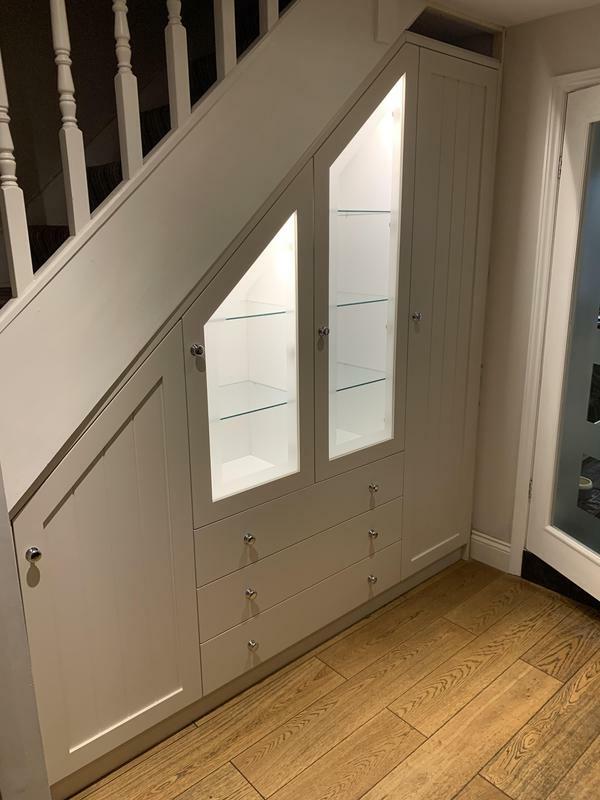 The latest project was to complete a fitted storage solution under our stairs, it is amazing! 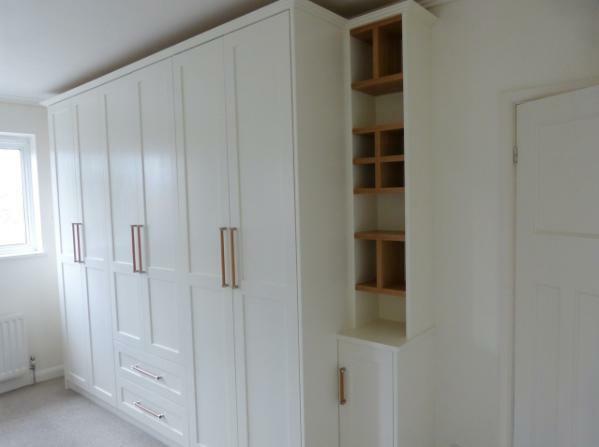 The finish is faultless and fits the space like a glove. As ever Barry turned up exactly when he said he would, protected all the floors before started the day, worked without a break all day and then hoovered before he left, he left a ladder against the wall and to protect the wall put a cloth between it and the wall, I don't know many who would do that! Just brilliant as you can see from the pic." "Precision seems to be Barry's guiding principle. The quality of the final products he produces should satisfy customers with even the pickiest eye for detail. If I could find fault with his work, I would tell you here. But I can't! As well as the final product, it is the way he executes his work that gives me the confidence to get him back for jobs time and again. Always punctual. Always clean. Always sure to protect existing fixtures and furniture. Perfect job estimation. He finishes when he says he will with no overruns. He has done several jobs for me now. 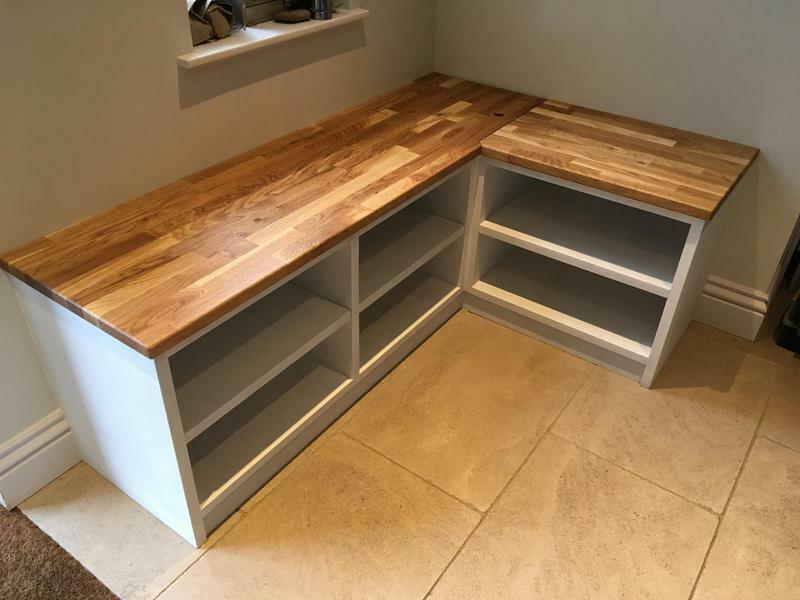 Two built in alcove cupboards, one incorporating log storage. A unique recessed wine store. 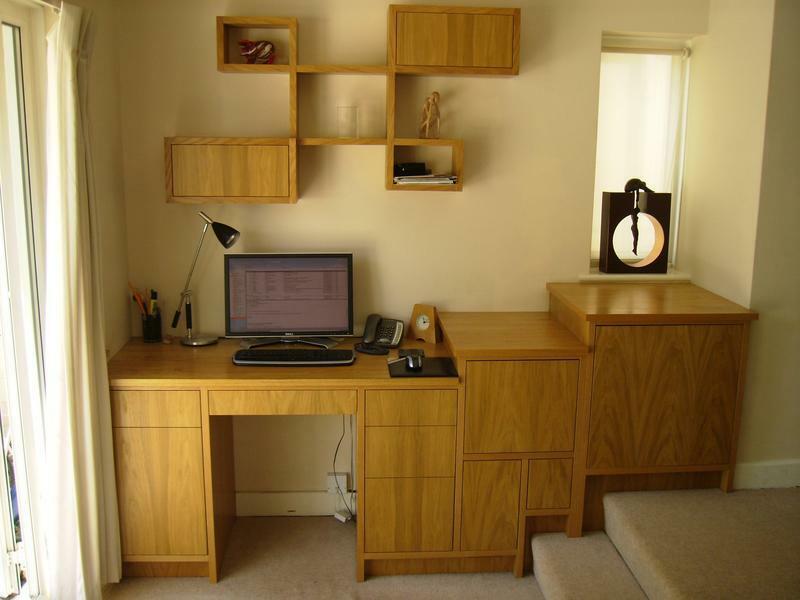 And most recently, an alcove desk unit and a wardrobe for a bedroom. All have been perfect. At the initial stages of each project he provided detailed drawings, giving me confidence of what I should expect from the final product. The built in units perfectly fit into their surrounding, and look as thought they were always meant to be there." 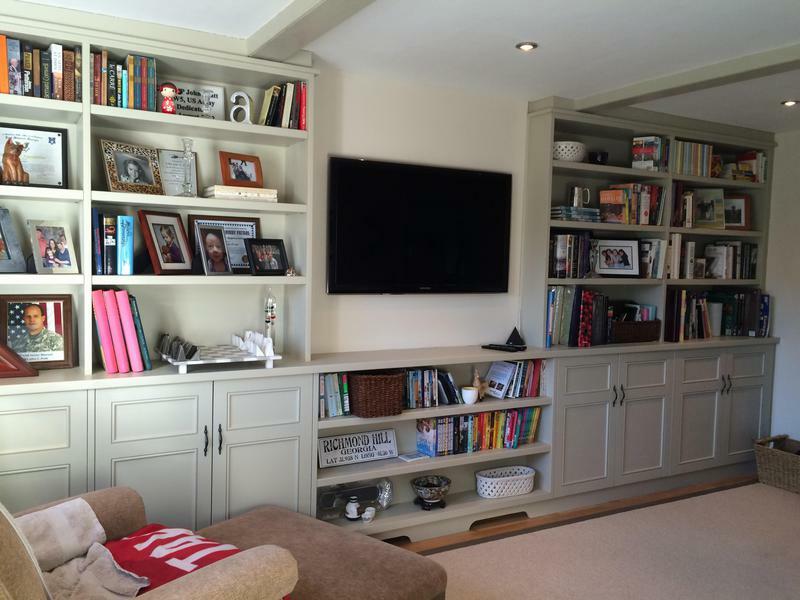 "Barry redesigned the space under our stairs to provide additional storage in a semi-detached 1930s house. 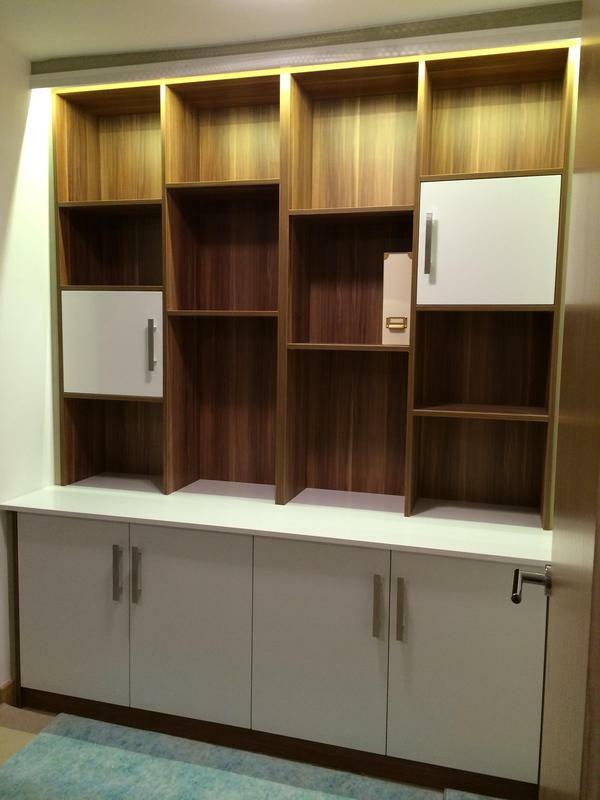 This included a coat rail and shelving for bags and shoes. 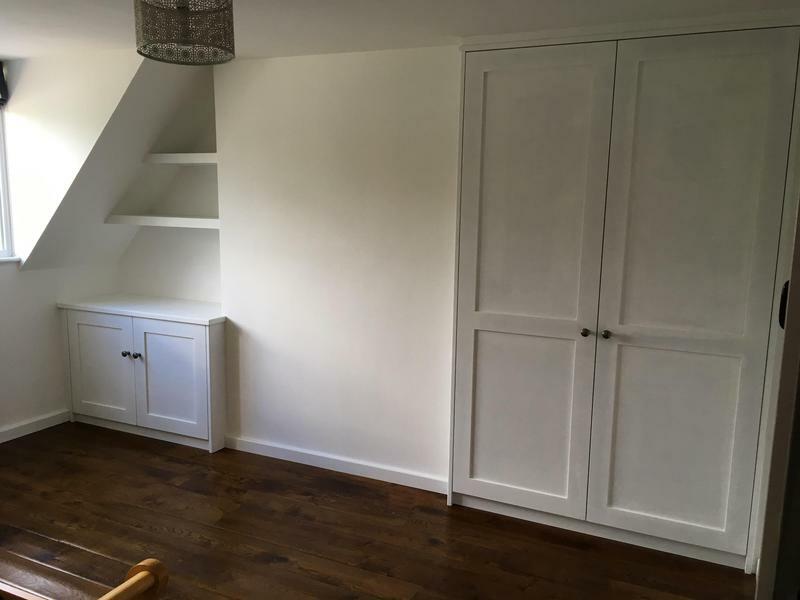 The key challenge was to maintain access at the back of the shelving space for gas meters, isolation valves, electricity meter and fuse box which were all spread across the back wall. Barry was really brilliant. 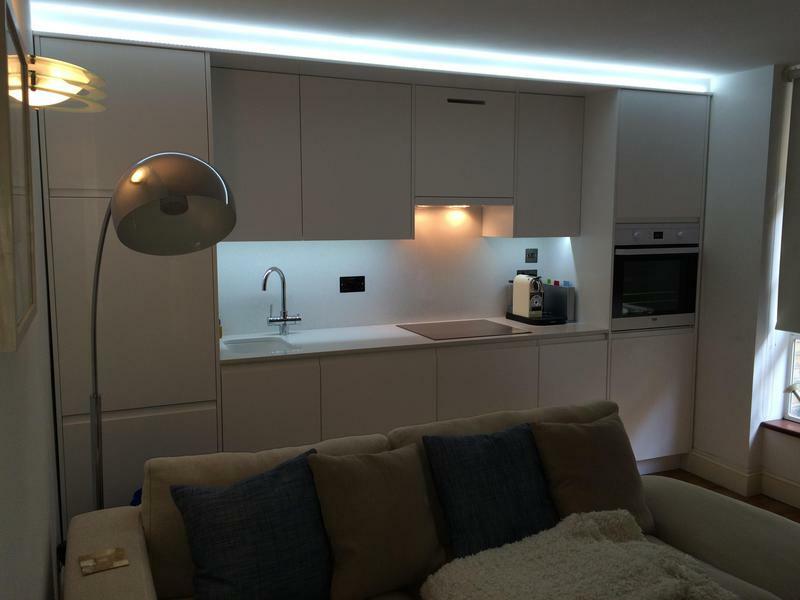 He met all all our requirements but also had so much experience and advice he could offer which added huge value to the design and build. The utitlity boxes were well hidden but with easy access panels built in to the back wall. 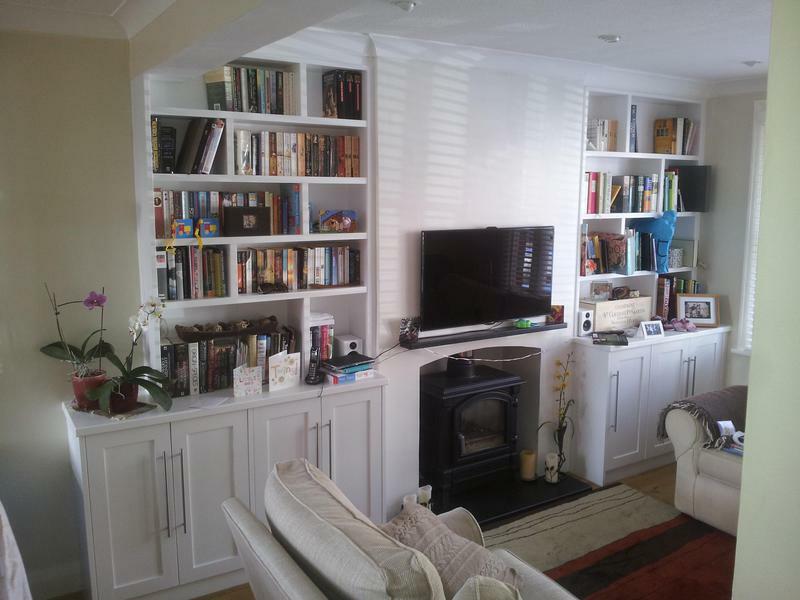 In the end he turned a badly organised and ugly space into some beautiful shelves and cupboards with hidden access. From start to finish it was a pleasure to have Barry working in our home. He was always on time, took great care in his work and everything was neat and tidy at the end of each day. We would recommend Barry to anyone and will be using him again soon." 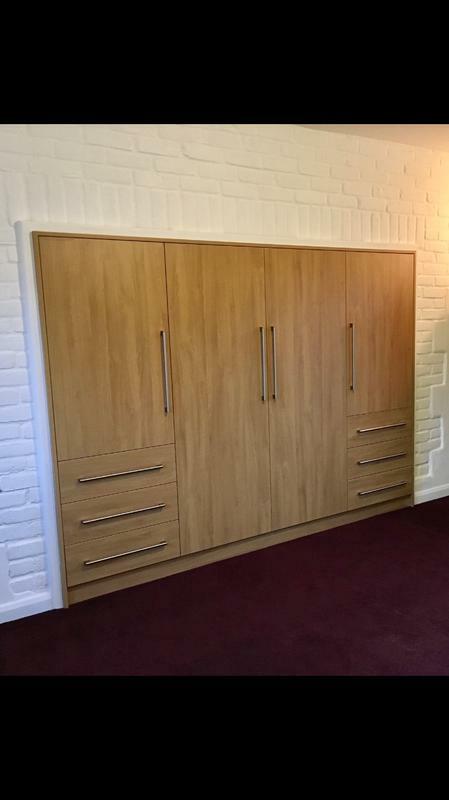 "Barry made a cloakroom cupboard and designed and made my dressing room. He listened to what we wanted and offered advice and suggestions. He was punctual and always left the room he was working in as tidy as he could. 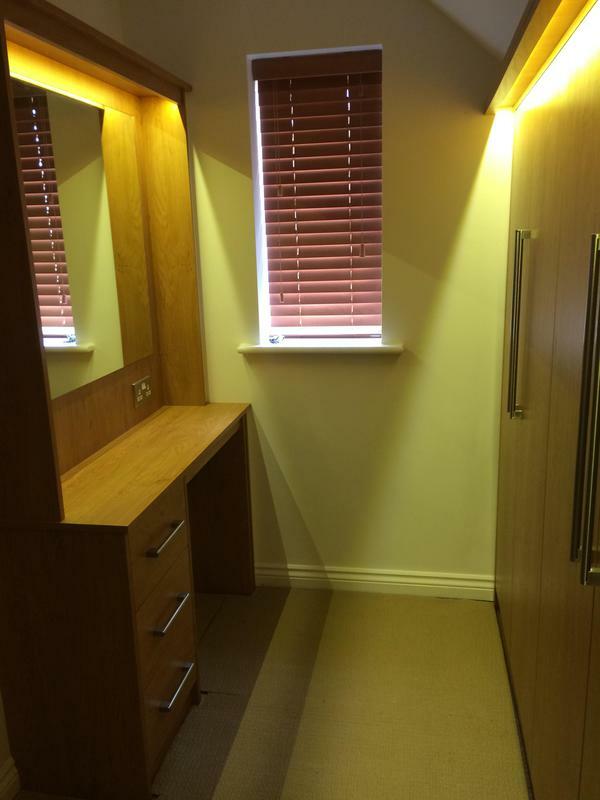 We are delighted with the work he did and would highly recommend him."